Red Hen Press, 9781597096034, 176pp. 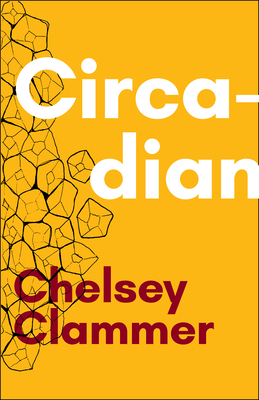 Winner of the 2015 Red Hen Press Nonfiction Award, Circadian is a collection of essays that weaves together personal account with cultural narrative, only to unravel them and explore the brilliant and destructive cycles of who we are. Using poetic language and lyric structures, Clammer dives into her stories of trauma, mental illnesses, and a wide spectrum of relationships in order to understand experience through different of frameworks of thought. Whether it's turning to mathematics to try to solve the problem of an alcoholic father, the history of naming to look at sexism, weather to re-consider trauma, or even grammar as a way to question identity, these "facts" move beyond metaphor, and become new ways to narrate our cyclical ways of being.